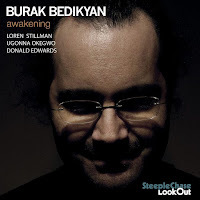 bebop spoken here: CD Review: Burak Bedikyan - Awakening. 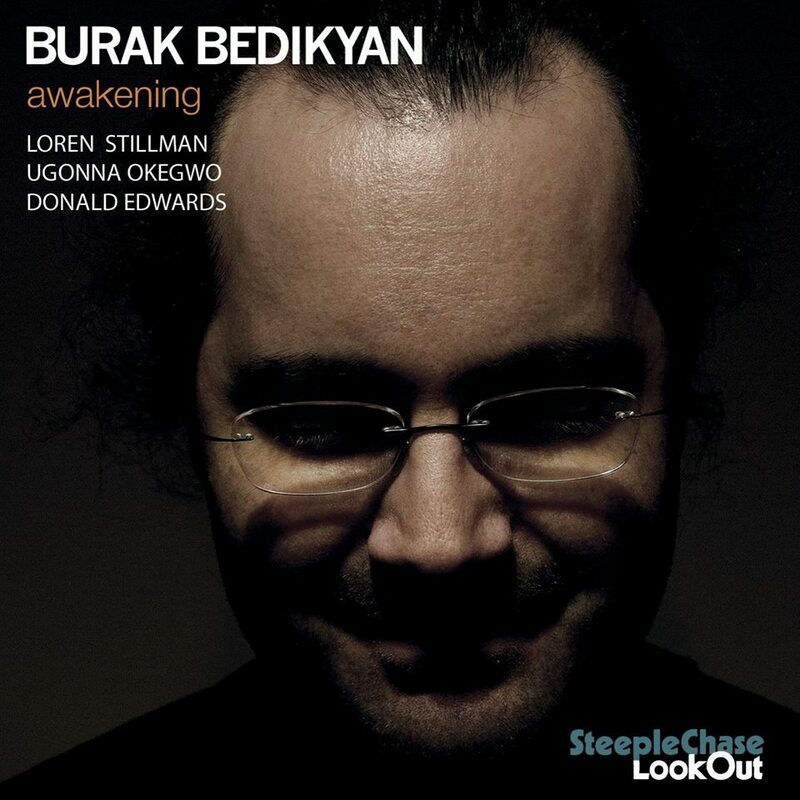 Burak Bedikyan (piano); Loren Stillman (alto); Ugonna Okegwo (bass); Donald Edwards (drums). Idée Fixe kickstarts the album off with a boppish head orbiting Stillman into an angular solo with a suggestion of Art Pepper hovering above. Bedikyan picks up the baton and runs with it. Bass makes the change passing it to Edwards for an explosive finish. Another composition from the Turkish pianist/composer follows - all 9 pieces are by Bedikyan - Mother Earth being a more reflective, explorative experience. All Alone's Latin feel makes for a relaxed, laid back setting that allows the soloists to float, seemingly effortlessly without any loss of intensity. Unfair Blues and Stillman brings to mind, again, Pepper as well as Konitz, Shank, Geller maybe even Frank Morgan. Not a bad place to be. Bedikyan too shows just how important a pianist he has become since I reviewed his Circle of Life album a couple of years back. The title track, Awakening, moves in a more contemporary direction without going off the rails. Perhaps Chick Corea has had a little influence. Memory of a Fading Dream - a pastoral poem. Fading dreams, we've all had them, and this encompasses them whilst, at the same time, allowing Okegwo to somnambulate the bass. Ad Infinitum Riff-based, it's appropriately named and didn't go on for too long (5:47). Do Not Fear, the longest track at almost 10 minutes, is complex with changes of time, meter and mood and yet, the complexity makes it all the more compelling! The All Seeing Eye takes us out as we came in. Some hard bop blowing, piano reminiscent of Sonny Clark. Now that Blue Note has moved the goalposts maybe Steeplechase has replanted them!